Visit 7 countries in this exciting 9 week adventure! Set off around the stunning continent of South America as you see it all in an epic 65 day trip through seven amazing South American countries. This Great South America adventure begins in the exciting Ecuadorian city of Quito and ends in the carnival city of Rio de Janeiro in beautiful Brazil. 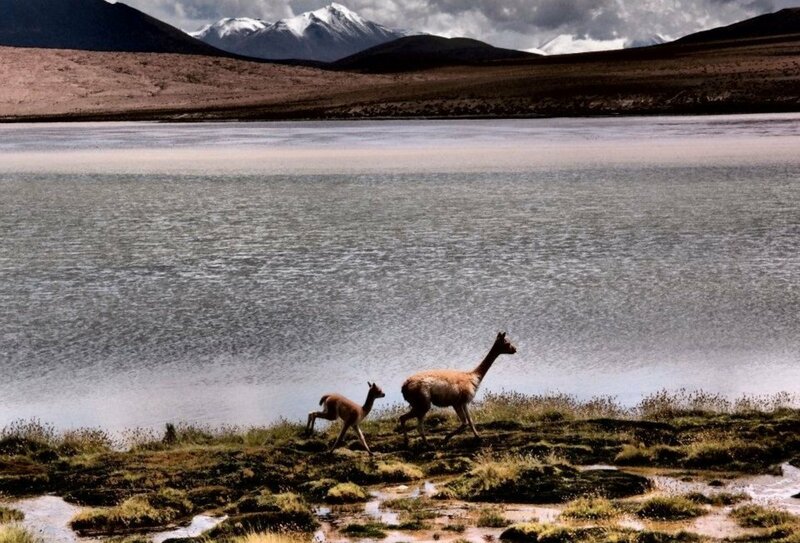 You’ll delve deep into the Amazon jungle on a homestay, soak up culture in cities from Lima to Cusco, La Paz to Buenos Aires, hike the legendary Inca Trail to magical Machu Picchu, relax on beaches and in thermal baths, explore Incan ruins, discover deserts and the famous Bolivian Salt Flats at the Salar de Uyuni, see the mysterious Nazca Lines, hang out on a Uruguayan ranch, be awed by the Andes, marvel at the might of the Iguassu Falls, laze around Lake Titicaca, chill on idyllic beaches on the Ilsa Grande island, and top it all off in the party town of Rio! Don’t miss a thing on this amazing, memorable adventure as you explore the best bits of South America on one unforgettable tour! Relax in thermal hot springs or laze on beaches, sample a traditional Pachamanca feast in Peru and try a range of amazing optional activities such as horse riding, mountain biking, boat rides and whitewater rafting for an adrenaline rush abroad! 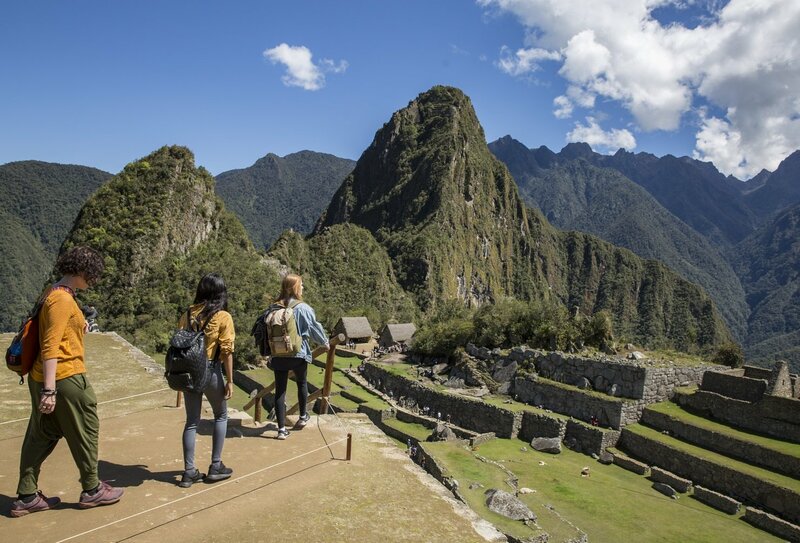 Trek to Machu Picchu with your group! Find your samba spirit in Rio! 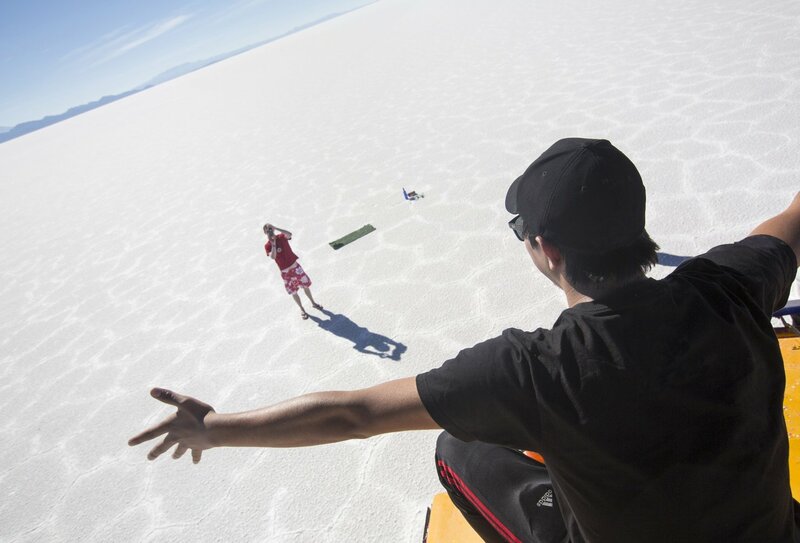 Explore the magical landscape of the Salt Flats with your group! 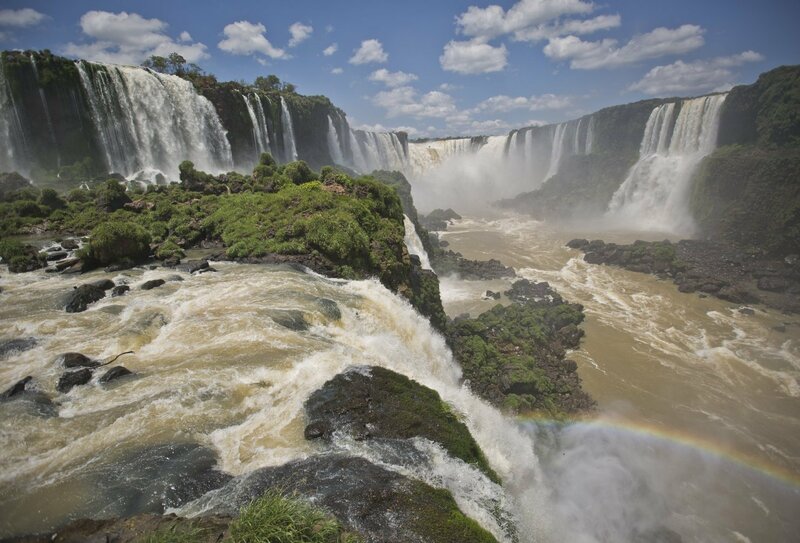 Get up close to the awesome Iguassu Falls! 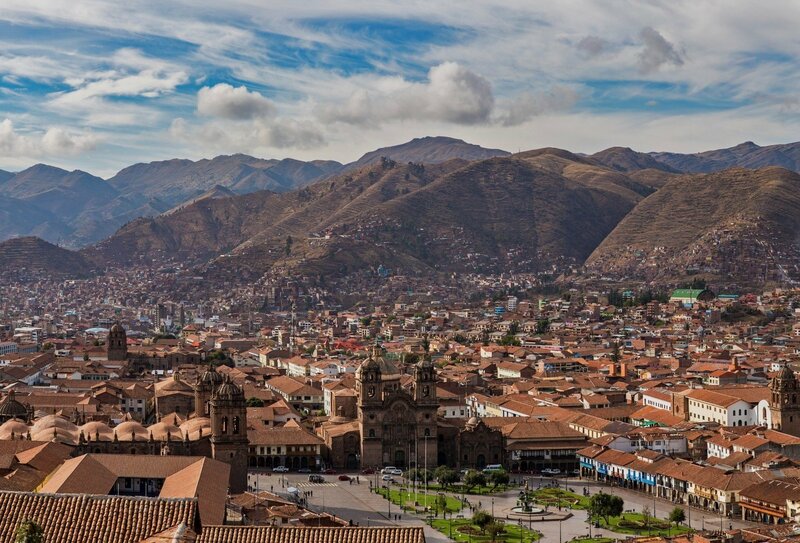 Wander the historic streets of Cusco! Be awe-struck by Peru's dramatic landscapes! Trek to Machu Picchu and arrive at dawn! 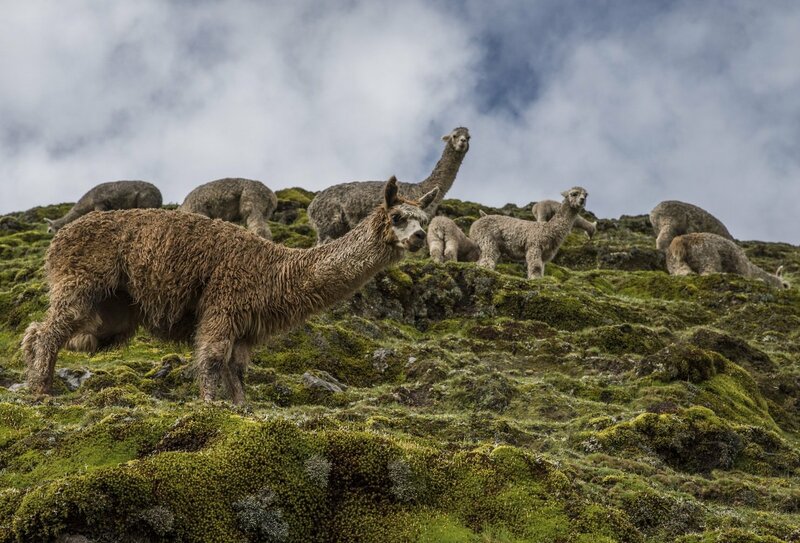 Meet the locals in Peru! 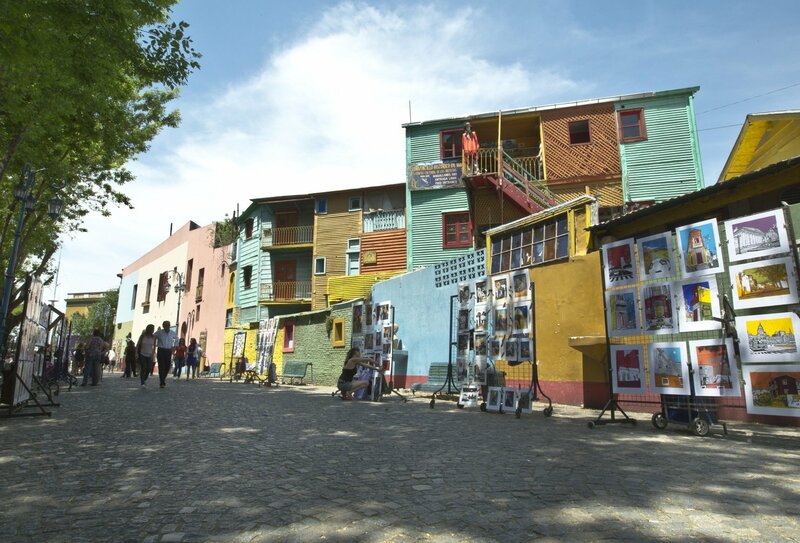 Explore Buenos Aires' most colourful neighborhoods! Entrance and visit to Iguassu Falls. Transport by public bus, boat, truck, motorized canoe, train, hiking, plane, 4x4 truck. Day 1: Quito. Arrive at any time. Day 2-4: Amazon Jungle Homestay. Travel to Tena, then into the jungle to meet a local community for an Amazon homestay. Day 5-8: Baños/Cuenca. Optional activities such as hot springs, hiking, horse riding or mountain biking. Explore Cuenca, Cajas National Park or the Inca ruins at Ingapirca. Day 9-13: Mancora/Huanchaco. Optional activities in Mancora such as surfing or horse riding. In Huanchaco, optional activities include visiting pre-Inca sites, visit toTrujillo, or beach visits. Overnight bus on Day 13 to Lima. Day 14-18: Lima/Paracas/Nazca. Lima. Optional visit to Ballestas Islands before travelling to Nazca. Winery visit at the Oasis of Huacachina. Traditional Pachamanca meal. Optional sandboarding and flight over the Nazca Lines. Overnight bus to Arequipa on Day 18. Day 19-22: Arequipa/Colca Canyon. Optional visits; Catalina Convent or hot spring. Guided tour to Colca Canyon. Day 22, overnight bus to Cuzco. Day 23-30: Cuzco/Ollantaytambo/Inca Trail. Free time or optional city tour of Cuzco. Optional whitewater rafting, horseback riding or mountain biking. 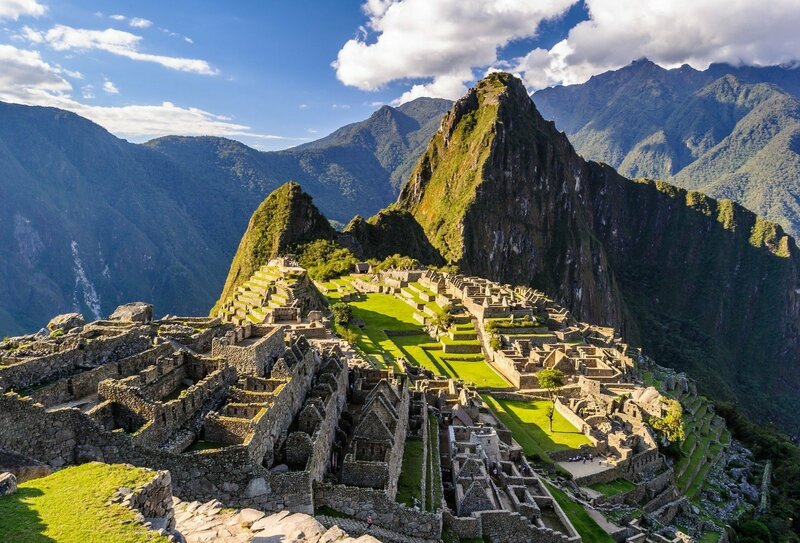 4-day guided Inca Trail hike with visit to Machu Picchu. Please note: Due to sustainable tourism regulations on the Inca Trail there is a cap on the number of people allowed to walk the trail on any one day. This may mean that on certain dates the trek permits have sold out and you will not be able to trek the Inca Trail. In this unlikely event you will take an alternate route to Machu Picchu. Speak to us for more information. Day 31-33: Puno/Lake Titicaca. Visit Uros floating islands. Guided tour of Lake Titicaca. Village homestay. Day 34-36: La Paz. Free time in city. Optional trip to the Valley of the Moon. Overnight bus on Day 36 to Sucre. Day 37-40: Sucre/Potosí. Optional dinosaur track excursion. City exploration. Optional hiking or mountain biking. Optional visit to a working silver mine. Day 41-43: Uyuni/Salt Flats. 3-day 4x4 trip to the Uyuni Salt Flats. Day 44-47: San Pedro de Atacama/Salta. Optional ruin visit, mountain biking, or visit to the Valley of the Moon from San Pedro. In Salta, optional visit to scenic Quebrada de las Conchas/Cafayate or the High Mountain Archaeological museum. Day 48-50: Buenos Aires. Fly to Buenos Aires. City exploration. Day 51-56: Colonia/Montevideo/Estancia ranch stay. Free time to explore Colonia and Montevideo in Uruguay. Then head to a rural working ranch, hike or horseback ride and enjoy a local barbeque with wine from the region. Overnight bus to Iguassu Falls on Day 56. Day 57-62: Iguassu Falls/Paraty/Ilha Grande. Explore Iguassu Falls from Argentina, then take an optional boat ride or visit the bird park. Fly to Paraty and enjoy the coast, then take a boat to the idyllic Ilha Grande for some relaxation time. Day 63-65: Rio de Janeiro. 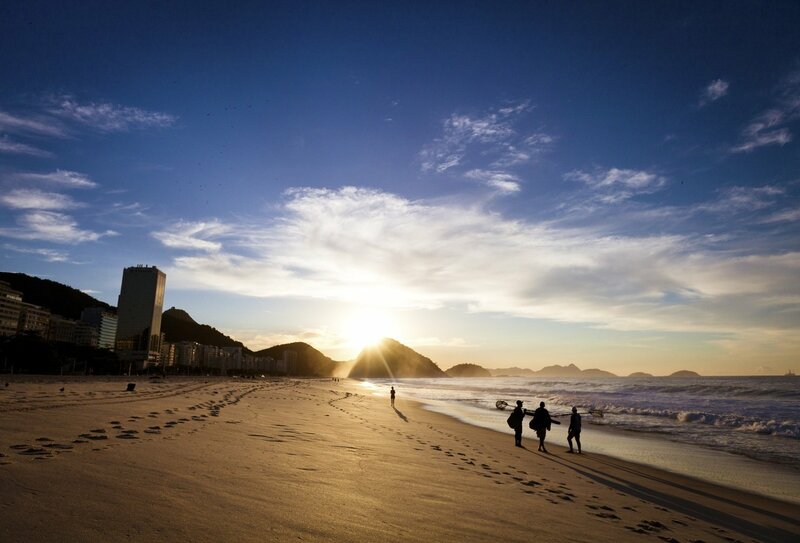 Explore the city from your base in Copacabana. 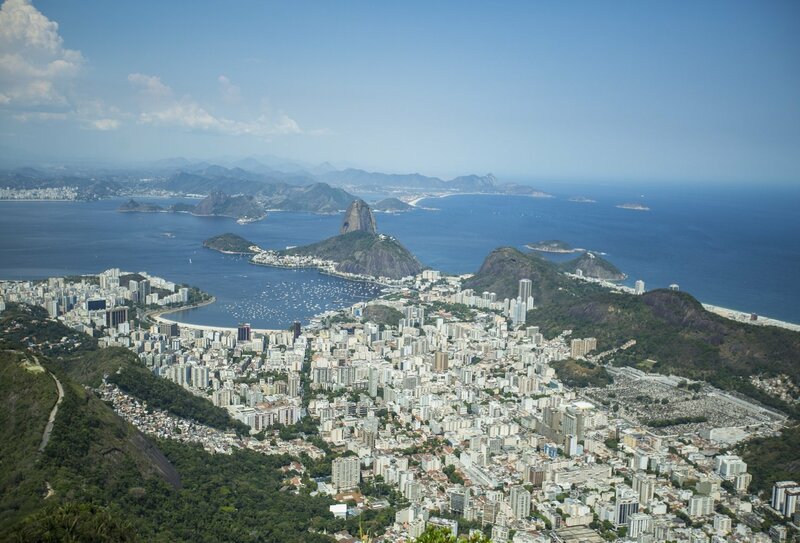 Depart Rio on day 65 when your epic tour of South America ends. You should arrange your arrival into Quito International Airport. Transfers are not included in the trip price. The airport is around 1 hour from the city centre where your hotel is located. It is advised that you get a taxi (at a cost of approximately USD30-40) from the taxi stand close to customs, and that you pay for the taxi at a rate set at the taxi stand. If your taxi driver does not speak English and you do not speak Spanish, simply show the driver the hotel address. Please note, we can also arrange a private transfer for you when you arrive. Please contact a Travel Advisor for more information. No activities are planned for Day 1 so you may arrive at any time. You will have contact from your tour leader during Day 1 and there will be a short welcome meeting soon after arrival, where you can meet your group and learn more about the trip. All accommodation is included during your South America Journey. This will include a combination of shared hotel, hostel and camping accommodation. Some nights will be spent on overnight buses. Private rooms may be available at extra cost. Please speak to a travel advisor for more information. Some, but not all, meals are included. In total you will have 39 breakfasts, 11 lunches and 12 dinners included on this trip. You should allow around USD1535-1995 for meals not included. Minimum age to take part in this trip is 18. This trip is designed for travellers aged 18-39. All countries require a valid passport with a minimum of 6 months validity. You should contact your local embassy for current visa requirements for all the countries visited during this 65-day trip. You should have a reasonable level of fitness to take part in this trip, especially if you are taking part in the 4-day Inca Trail hike. Physical Rating: Demanding. Some activities on this trip will require a good level of fitness.